Looking for a family-friendly adventure? 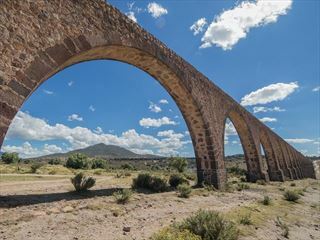 Then our eight-day Mexican trip is the perfect option. 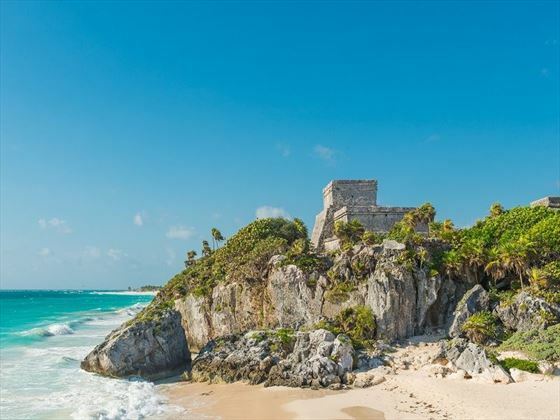 Spend some quality beach time on the Caribbean Coast in Tulum, visit bird sanctuaries and tour UNESCO-listed Mayan ruins. 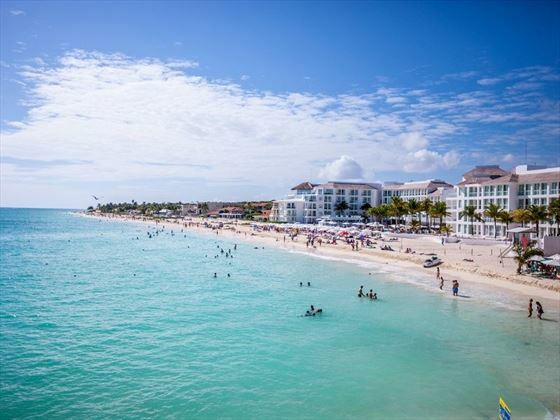 The trip starts in the famous beach town Playa del Carmen and takes in Chichen Itza, the colonial city of Merida, Tulum and the Coba archeological site. Highlights include touring Chichen Itza, Mexico’s top Mayan site and cycling around the Coba ruins. Children will love pool and beach days, as well as a trip to the Celestun Bird Sanctuary to see flocks of pink flamingos. You’ll also get the chance to stop at a huge limestone swimming hole and grand estate from the 1800s, Sotuta de Peon. This tour is ideal for families of all ages, offering a great blend of history, nature and adventure (INT - QMFA). Please note the minimum age for this tour is 5 years. Welcome to Mexico! Your adventure begins in Playa del Carmen with an evening orientation meeting. If you arrive early, spend the day relaxing at your hotel, head to the beach or start exploring the area. 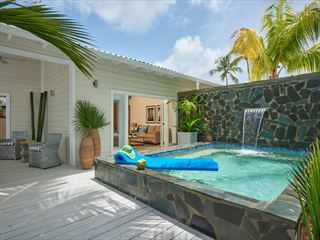 There’s plenty to do, from swimming and sunbathing to diving and snorkelling among mangroves. Optional activities include taking the ferry to nearby Cozumel or renting bicycles. Today you’ll travel to Merida, which is known for its Spanish colonial and Mayan history. On the way, stop at Chichen Itza for a guided tour of these UNESCO-listed Mayan ruins. 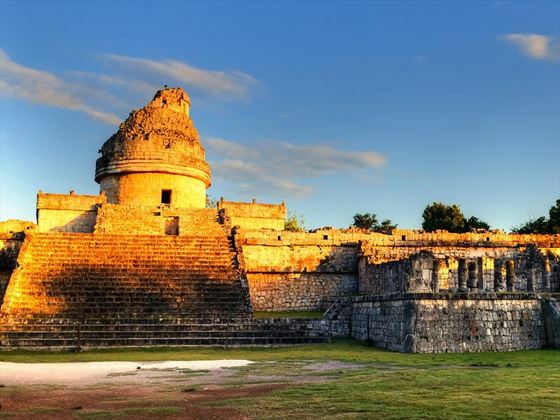 The site dates back to 600 AD and features elaborate stone carvings, ball courts and a striking pyramid named the Temple of Kukulkan. Arrive in Merida in the afternoon and spend the rest of the day chilling out at the hotel or getting a taste of the city. Key sights include the Plaza de la Independencia, Merida Cathedral and Iglesia de la Tercera Orden, a colonial church built atop Mayan ruins. The day starts with a trip to Sotuta de Peon, a grand estate that lies on an old henequen plantation. Built in the 1800s, the hacienda has been restored to its former lavish state and offers a glimpse into the past. Learn about ancient traditions and farming practices, visit a typical Mayan house and see beautiful cenote pools and lush gardens. In the afternoon, you’ll return to Merida. Optional activities include taking a guided city tour, visiting the contemporary art museum or taking a trip to the Dzibilchaltun ruins. 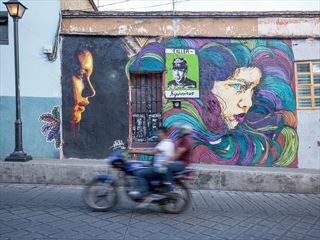 Alternatively, you can simply wander the city’s streets, sit in the Plaza Grande or have a leisurely meal. Travel to the Celestun Bird Sanctuary and Biosphere Reserve. Marvel at over 200 different bird species including flocks of herons and flamingos and stroll along white sand beaches. The tour includes a boat trip to see underground pools and walk through mangrove forests on special pathways. Return to Merida for a chilled-out afternoon by the hotel pool. Leave Merida today and journey onwards to Valladolid. On the way, you’ll stop off at the Xkeken Tourstation and Jungle Park. Spend some time exploring this limestone chamber which has a turquoise pool where you can swim and snorkel surrounded by stalactites. Continue on to Valladolid, a city full of architectural treasures. These include colonial buildings like the 16th century Convent of San Bernardino of Siena and the San Gervasio Cathedral, built in Baroque style. Take an afternoon walking tour to explore the picturesque city. Drive to the town of Tulum, located on the idyllic Caribbean coast. Tulum was once a Mayan port dating back to the 13th century and one of the last cities built by this ancient civilisation. Visit the archeological site perched on cliffs or simply spend the day sunbathing, enjoying the hotel pool or having fun at the beach. Head to Coba, which is the Yucatan region’s highest archaeological site. Tour the Mayan ruins by bicycle, taking in the jungle scenery and two serene lagoons. Learn about the site, which boasts a stone pyramid, two ball courts and the remains of settlements during the leisurely one-and-a-half-hour tour. Return to Tulum in the afternoon. Today your Mexican adventure comes to an end. There are no activities planned for the day and you can leave your accommodation whenever you like. Accommodation: seven nights in a hotel. Food: seven breakfasts and two lunches. Activities: entrance fee, guide and transport for Chichen Itza. Merida Celestun Biosphere Reserve tour and Hacienda Sotuta de Peon half-day tour. Valladolid walking tour and Xkeken Tourstation and Jungle Park. Tulum Coba Archaeological site bike tour.